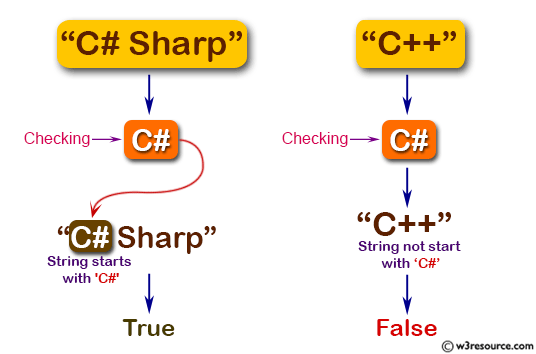 Write a C# Sharp program to check if a given string starts with 'C#' or not. Previous: Write a C# Sharp program to create a new string taking the first 3 characters of a given string and return the string with the 3 characters added at both the front and back.If the given string length is less than 3, use whatever characters are there. Next: Write a C# Sharp program to check if one given temperatures is less than 0 and the other is greater than 100.